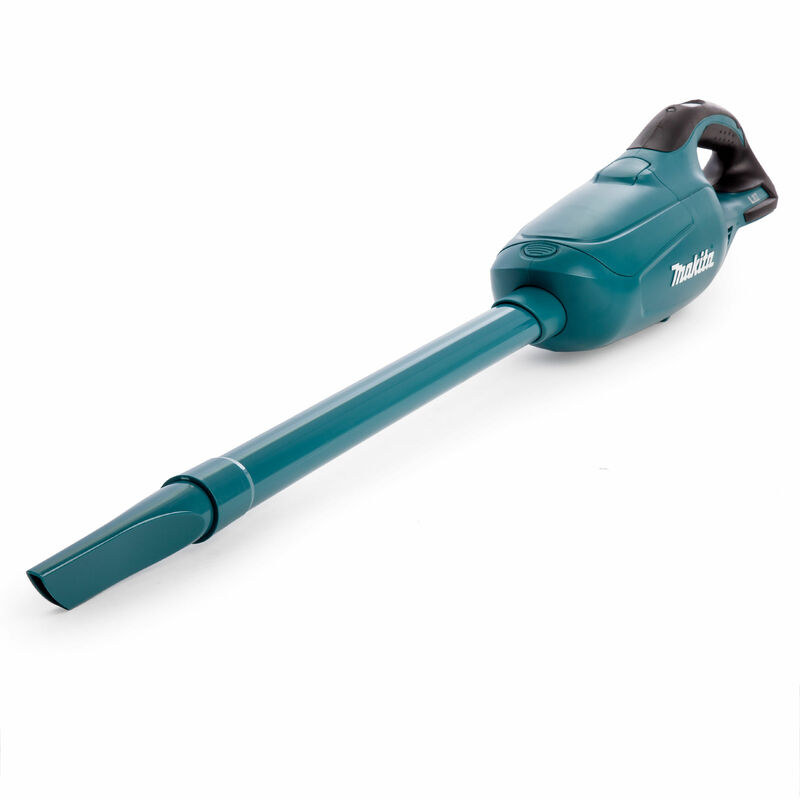 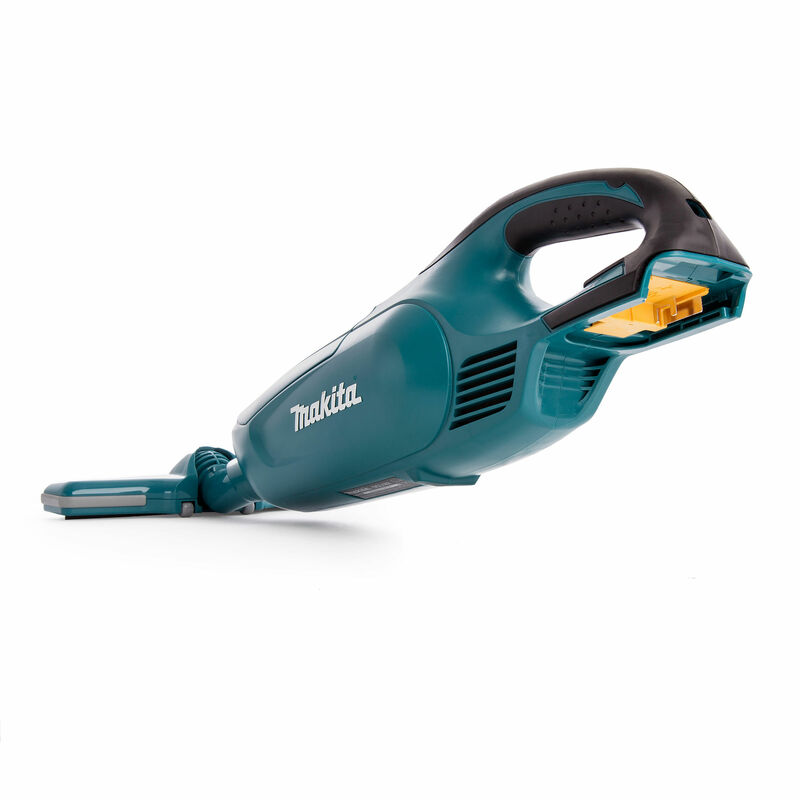 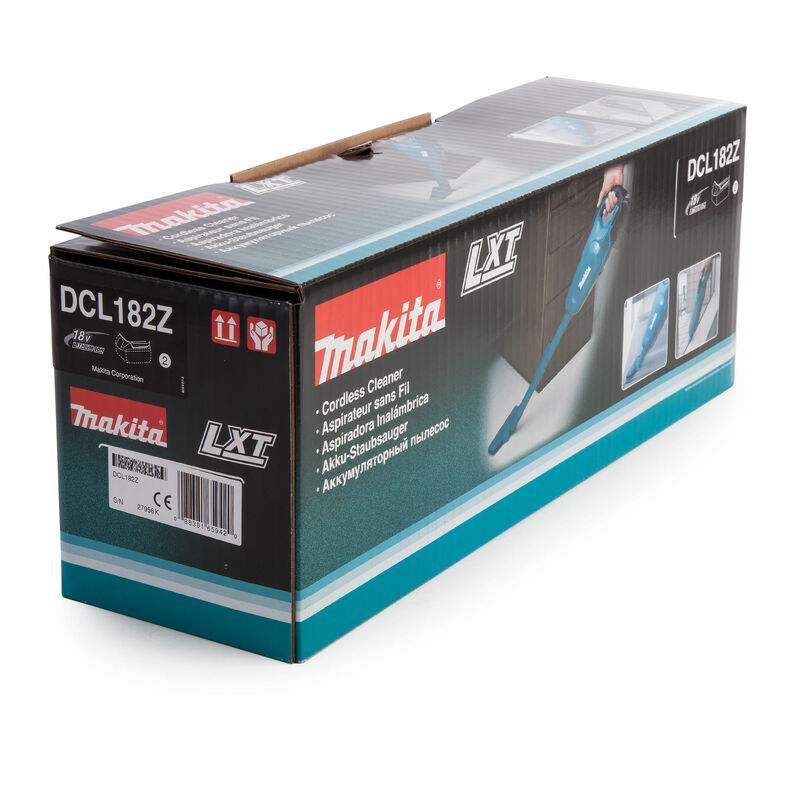 The DCL182Z 18V Vacuum Cleaner from Makita is suitable for upholstery and stairs or for workshop use. 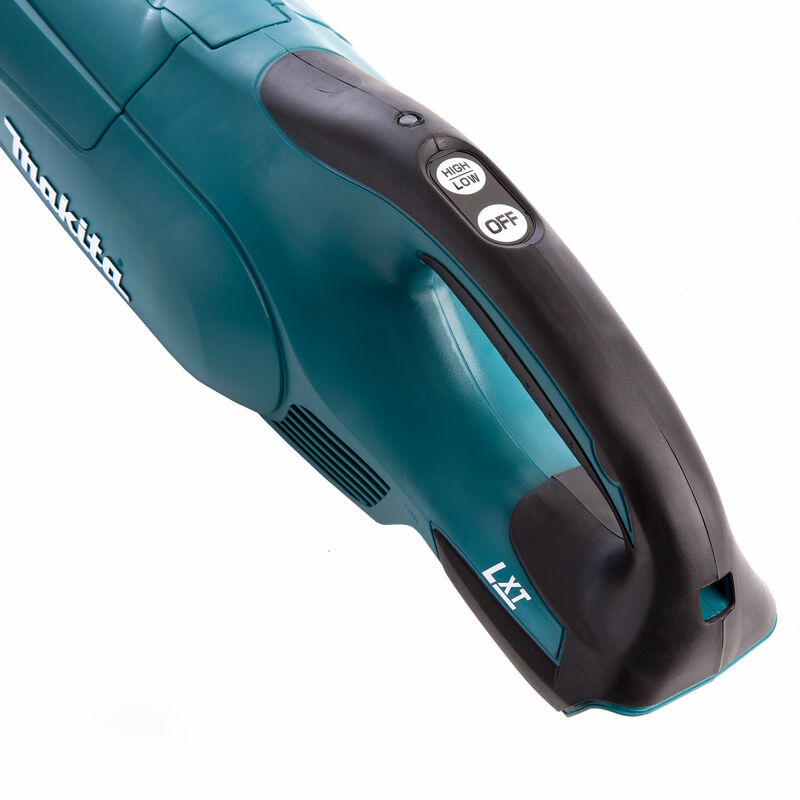 This Vacuum cleaner has two suction levels which can be activated with a touch button for high or low suction. 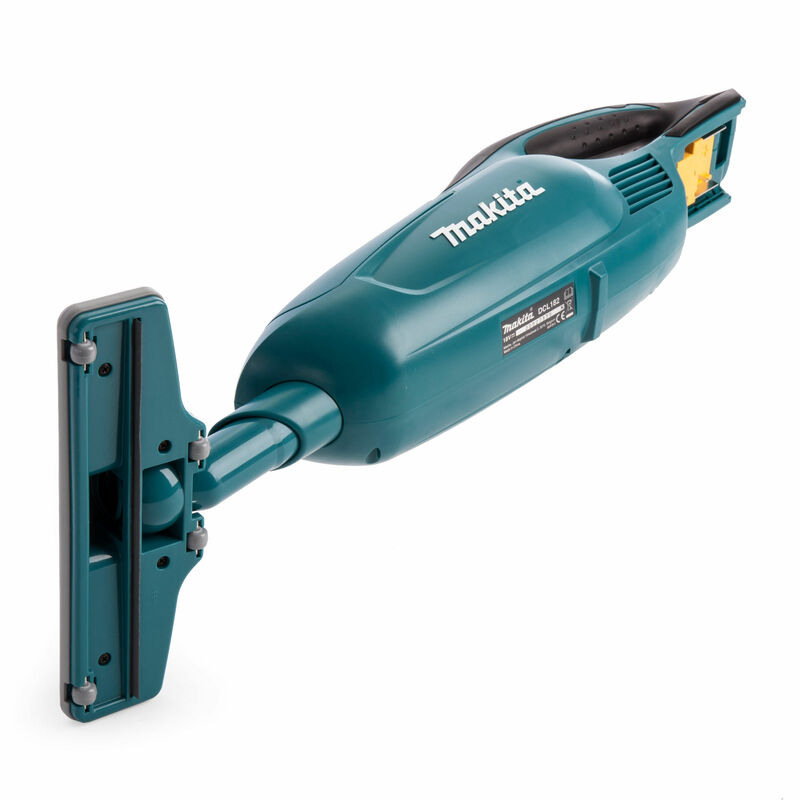 This model comes without batteries or charger in a cardboard box. 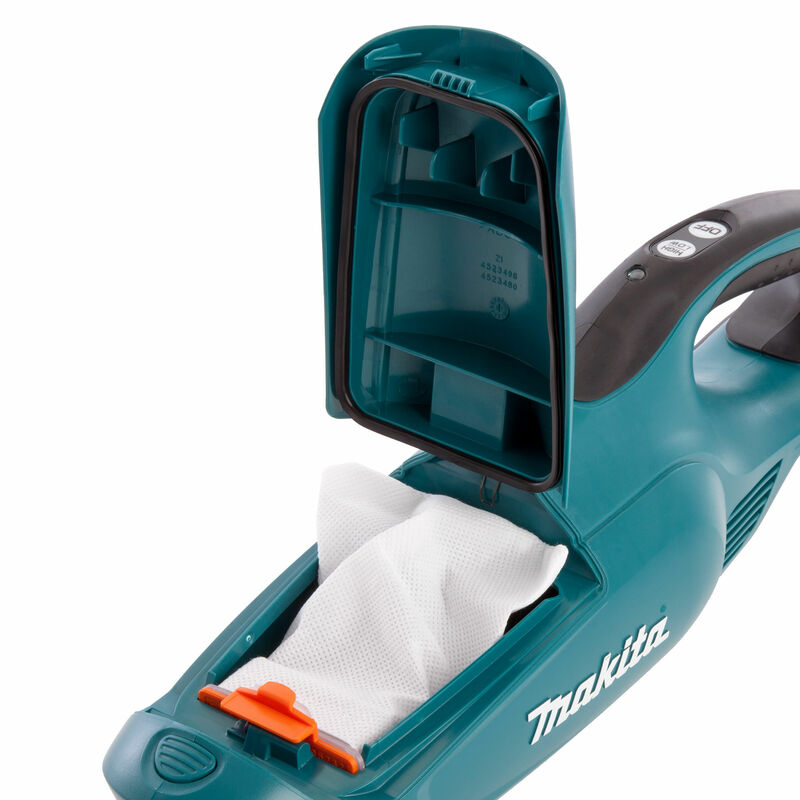 Simply by pushing a button, you can open the front cover for easy dust bag change.